Lana and Bryan’s rustic Tampa Bay wedding featured fall inspired decor and a vibrant autumn-filled color palette. 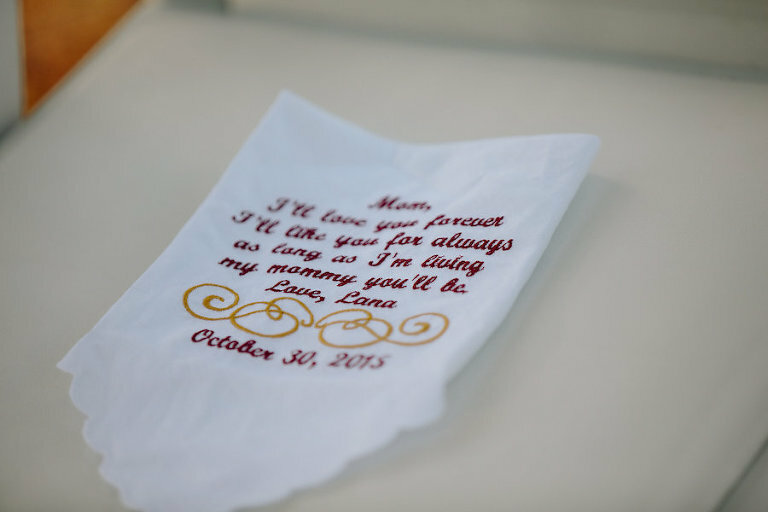 The bride and groom chose a theme that paid homage to the Lana’s country roots and incorporated their fall wedding date into their decor. The Sarasota couple focused their search for Tampa Bay wedding venues that could accommodate their busy schedules and bring their vision to life. The design team at Cross Creek Ranch helped plan, coordinate and create the perfect ambiance for the bride and groom’s outdoor Tampa Bay wedding. With details including handwritten chalkboard signs, burlap lace mason jars with fall blooms and a shabby chic hay bale sofa, the couple’s rustic wedding had the perfect touches of fall. “Having a team of knowledgeable wedding coordinators was key to a smooth and seamless evening from ceremony to reception. Cross Creek Ranch’s service was out of this world!” the groom gushed. To complement the look of their autumn wedding reception, the couple chose Tampa Bay wedding cake baker Alessi Bakeries to create a two-tiered wedding cake with touches of maple leaves and a gourmet pie bar served on a wooden display. 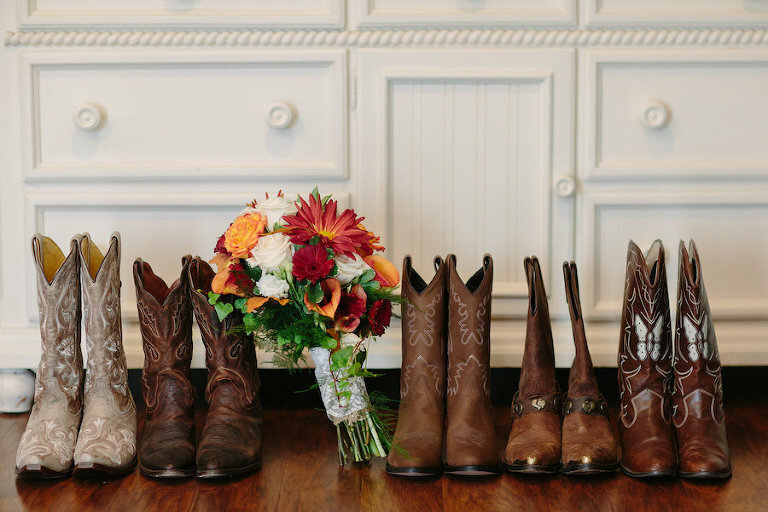 Music was one of the most important elements to the couple, who chose country hits Me and You and Cowboy Take Me Away as their processional songs. 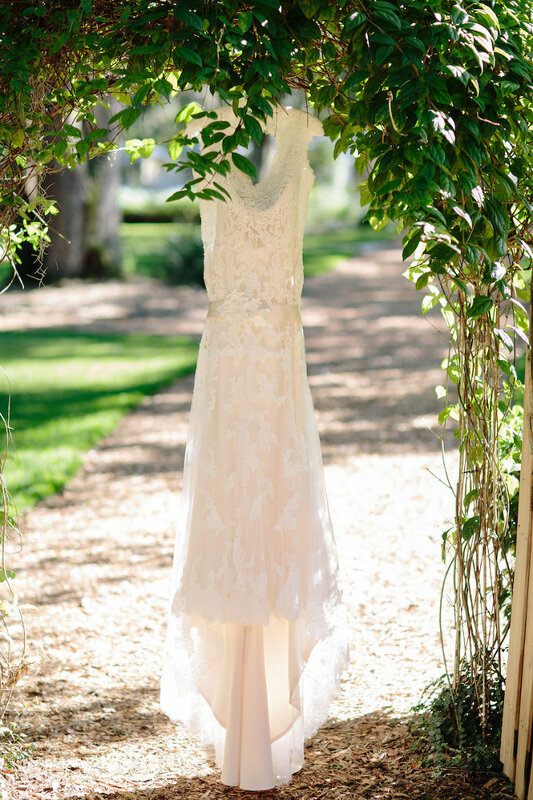 We looked for a venue that was all-inclusive, detail oriented and professional. We needed a venue that provided these services because I travel for a living, and my wife works a very busy schedule with her career, so the fewer meetings the better. We wanted our vision to be brought to life by a professional team. 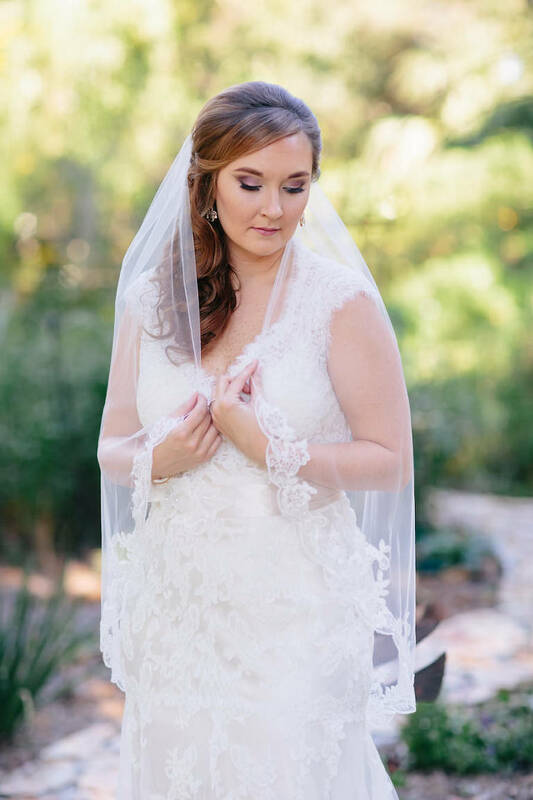 We chose Cross Creek Ranch based on raving reviews, and once we stepped foot on the property and met with the staff, we fell in love and knew this venue would be able to fulfill everything we dreamed of and more. Their service was out of this world! Rustic, fall. We chose the rustic theme because my wife grew up on a ranch out west riding horses and the barn wood made it feel like home to her. We chose fall colors, including deep reds, purples, oranges and yellows. We even included maple leaves for our aisle runners. What was your music inspiration and what did you look for in a wedding DJ? The DJ was important to us, because they set the mood for the entire night. Our inspiration was country music that went with the theme of our rustic/fall wedding. I walked down the aisle to Kenny Chesney’s Me and You and my wife walked down Cowboy Take Me Away, which was the most important song in our wedding playlist and what we based the rest of our music off of. Grant Hemond & Associates was included in our wedding package, and they were great. They kept the appropriate energy and flow throughout the night.